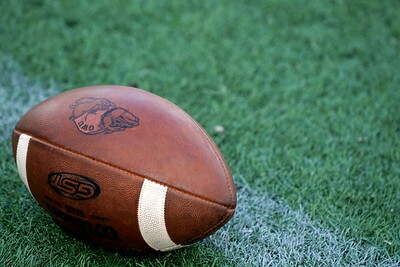 A football waits for play to begin. 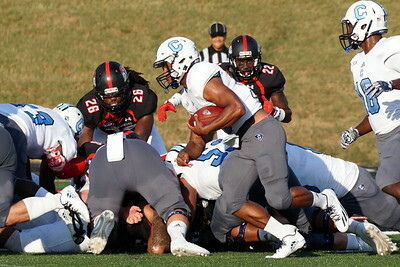 Number 24, Khalil Lewis, is tackled by the Citadel player Tevin Floyd. 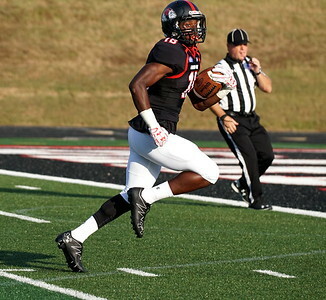 Jonathan Blackmon runs to score a touchdown against Citadel. 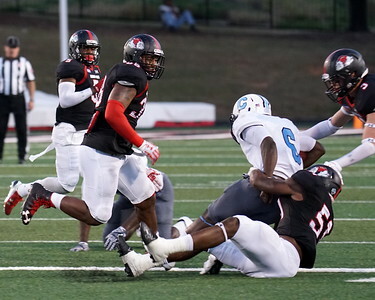 The players tackle each other. 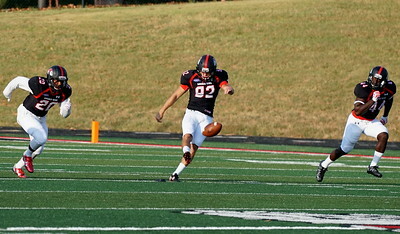 Number 95, P.J. 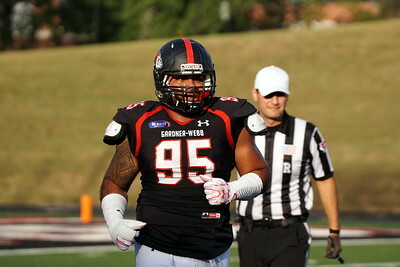 Fuimaono, after a play. 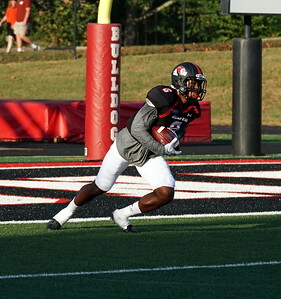 Thomas Adams runs the ball upfield. 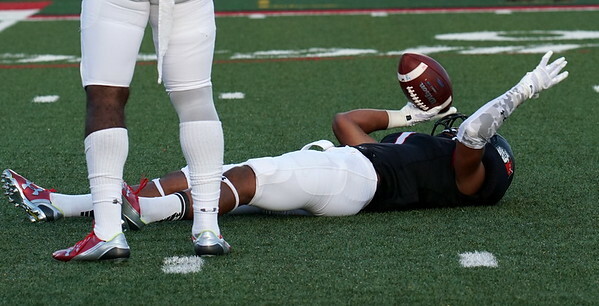 Isaiah Johnson kicks the ball during a break in the game. 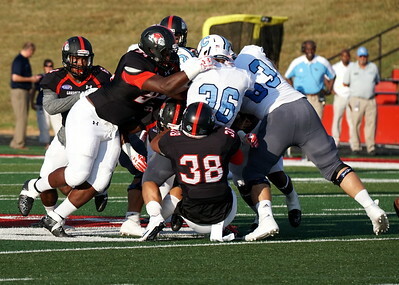 A Gardner-Webb player takes down a Citadel player. 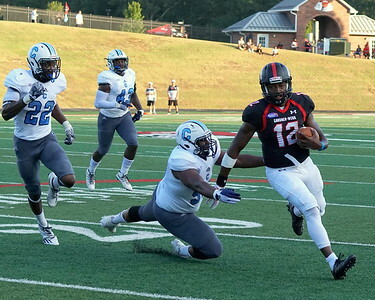 Number 12, Tyrell Maxwell, evades a Citadel player. 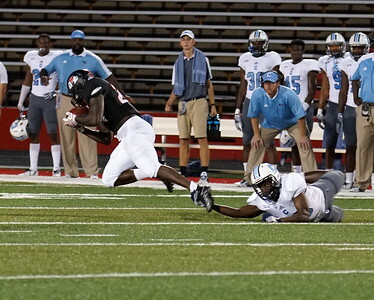 The bulldogs jump on the Citadel players. 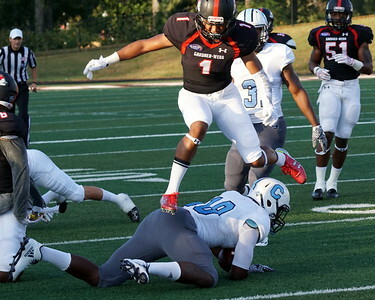 Number 1, Triston Dozier, leaps over the opponent. 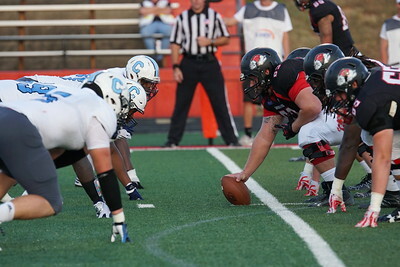 A pack of bulldogs prepares to defend against a Citadel player. 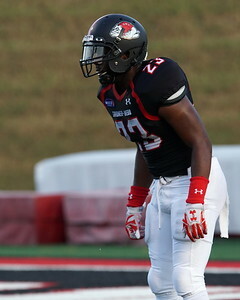 Robert McKoy, number 23, stands ready. 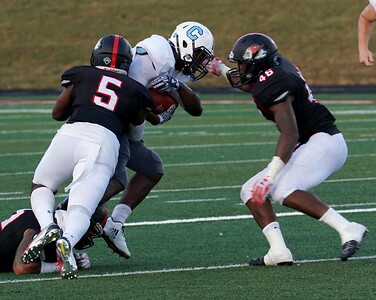 Number 5, Trey Lucas, tackles a Citadel player. 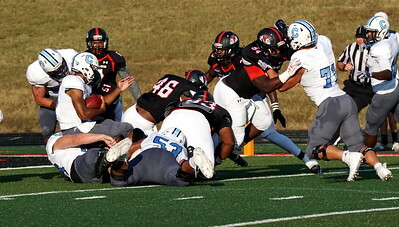 A Citadel player attempts to plow through a pile-up. 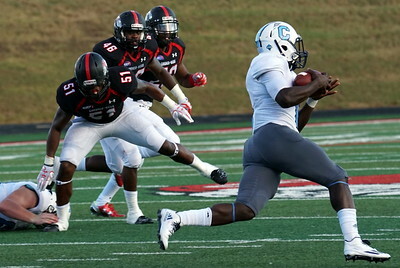 Citadel and Gardner-Webb face off. 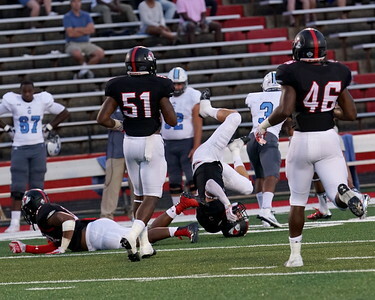 Triston Dozier lays on the ground after a play. 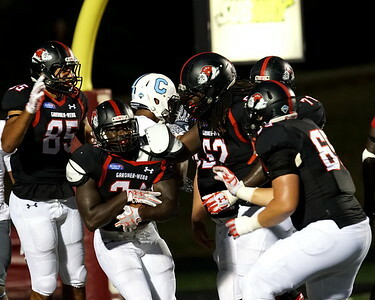 The excited cheerleaders after a touchdown. 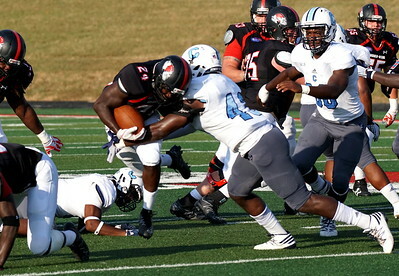 Kenyatta Dunbar takes out a Citadel player. 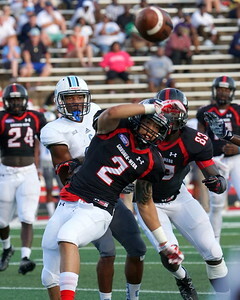 Bulldogs going after a Citadel player. 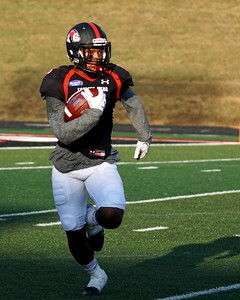 Trey Brice, number 2, throws the ball. 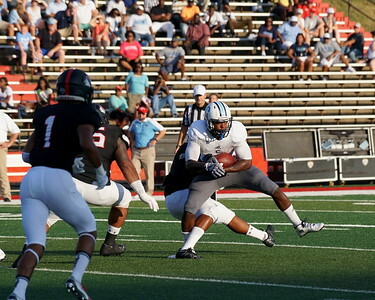 A Citadel player grabs a bulldog's foot. 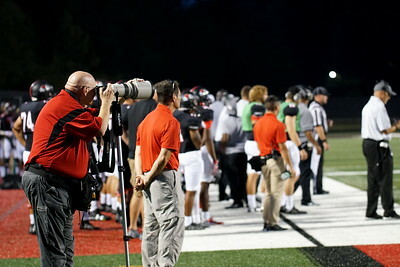 Bob Carey takes photographs of the football game. 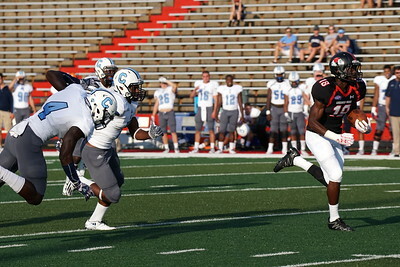 Jonathan Blackmon evades a group of Citadel players. 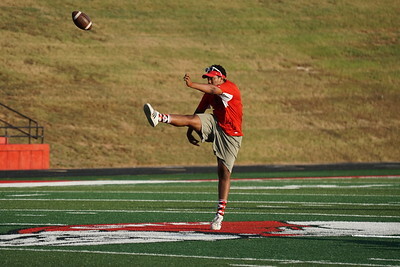 Saiid Murphy pumps the crowd up. 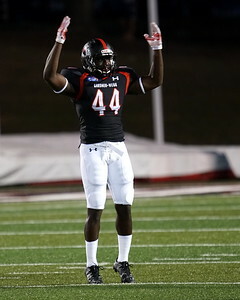 Number 21, Kerry Bernard, celebrates. 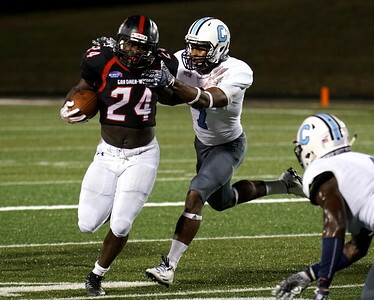 Khalil Lewis, number 24, runs from the attack of a Citadel player. 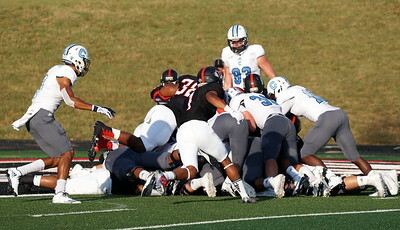 A dog pile after Citadel. 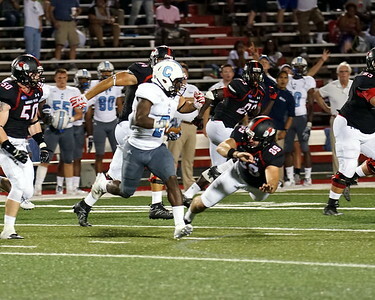 Andrew Komornik jumps after a Citadel player.